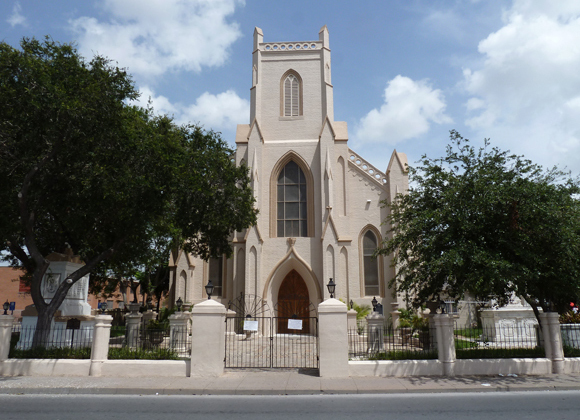 Immaculate Conception Cathedral - Volz & Associates Inc.
Immaculate Conception Cathedral in Brownsville represents the historic heart of the Catholic Church in South Texas. 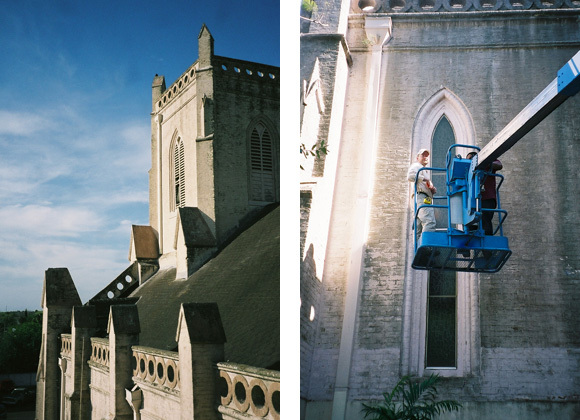 The Gothic Revival icon has survived the Civil War, major hurricanes, and damage from fire caused by arson. 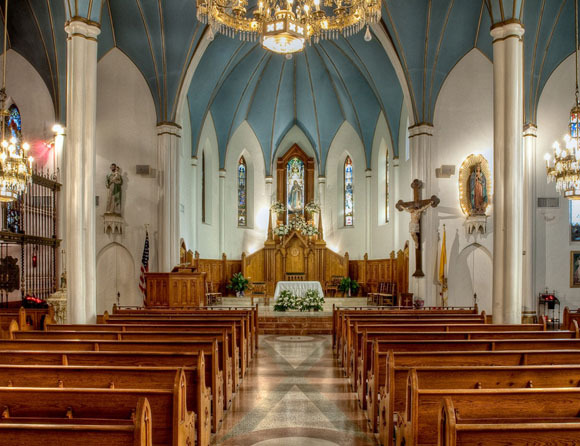 Volz & Associates prepared a Master Plan to identify the building's architectural, structural, mechanical, accessibility, and life safety needs, and to provide solutions for a multi-phase restoration of the Cathedral. 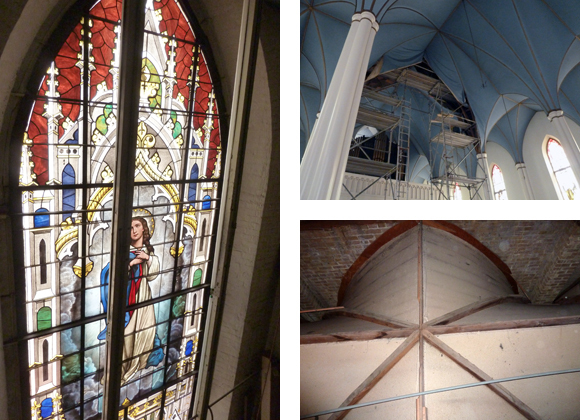 In developing the Master Plan, we worked with the restoration committee and church staff to balance the building's physical needs with the operational requirements of the Diocese and congregation. After the structural failure of an original roof truss in 2012, emergency shoring was installed to allow ongoing use of the Cathedral. We, along with Sparks Engineering, Inc., provided architectural and engineering services for the repair and replacement of the damaged roof system.